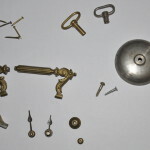 A Japy réveil pendulette restoration – Will it be possible? 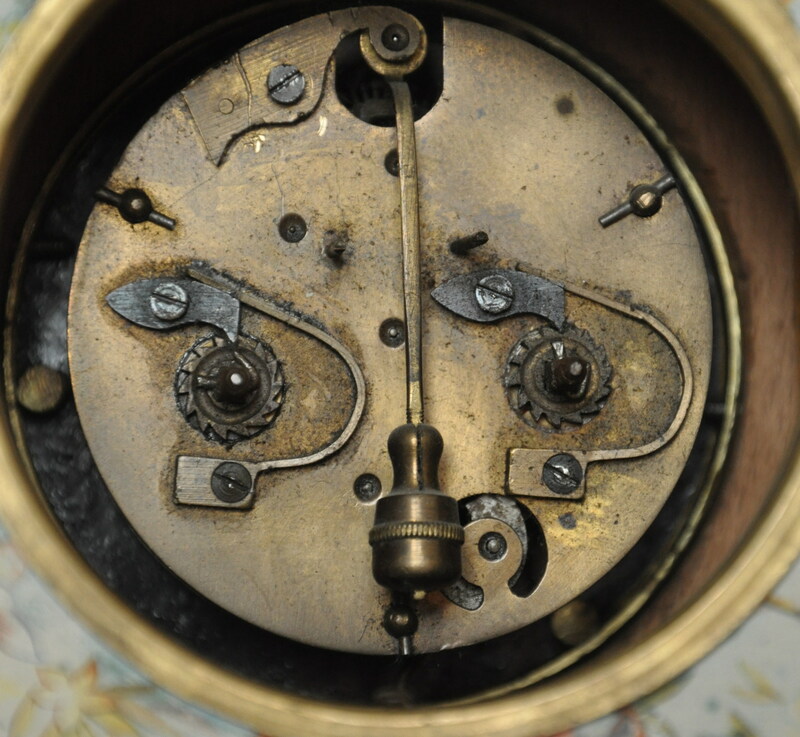 My father likes to understand and can repair clockworks and loves the restoration of things made of wood – as a hobby. 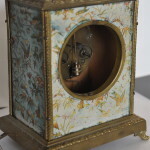 These talents are exactly what you need when you want to work on old, non-functional clocks that are most often inside wooden cases in not very good condition. When being on Brocantes or Vide greniers I’m trying, from to time, to get some objects for him to work on. Or I’m looking for things which he explicitly asks for. 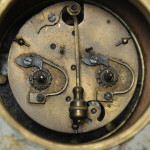 This time he asked me to look for a clockwork for a french regulator and I found one with the help of leboncoin.fr. This lead me to a very kind gentlemen (Merci, Patrice) who, in addition to the movement, sold me several other things related to clocks. 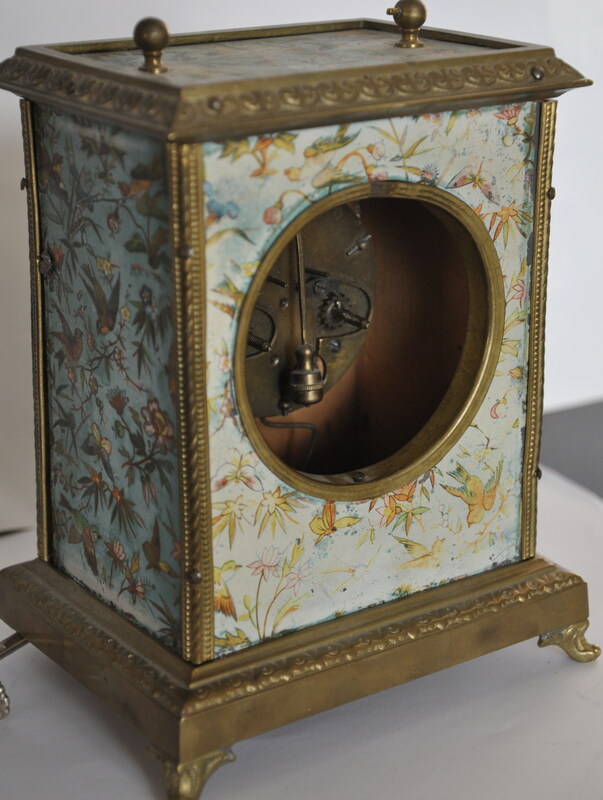 We had I nice chat and when I was about to leave, he offered me a portable mechanic alarm clock from the late 19th century – a Japy-made. He told me that he got it from a not-so-kind person which was selling it as in good condition while in fact it was not. 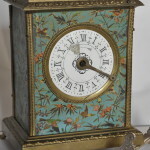 For identification reasons, he gave me a link to another blog: Réveils pendulettes XIX avec réglage de l’heure de réveil sur le cadran). 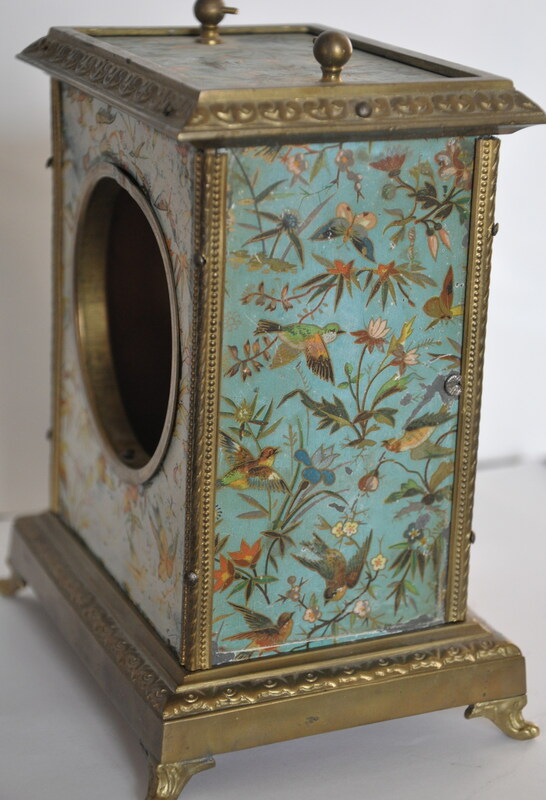 When seeing this site, I was enchanted by the photos of the finely repaired, cleaned and restored clocks. I was immediately attached and was thinking, how far can I could go to restore the one I got and make it a nice decoration object for myself? I, probably, won’t be able to do anything myself. I will soon discuss with my father to see what needs to be done, what is missing and what is possible from his point of view. Apart from all the mechanic-, metal- and woodwork to be done, I dream of having done a proper restoration of the painting. 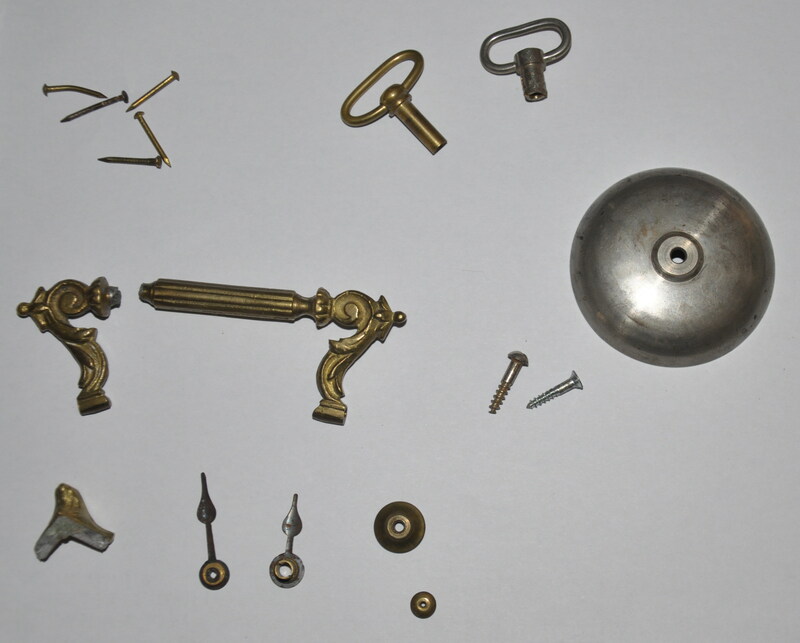 Let’s see what going to happen – I intend to write more articles while the restoration (attempt) progresses. 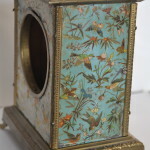 This entry was posted in Antiques and tagged antiques, clocks, restoration. Bookmark the permalink.